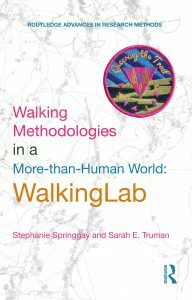 Walking Methodologies in a More-than-Human World: WalkingLab, which I co-authored with Stephanie Springgay, is out January 2018! As a research methodology, walking has a diverse and extensive history in the social sciences and humanities, underscoring its value for conducting research that is situated, relational, and material. Building on the importance of place, sensory inquiry, embodiment, and rhythm within walking research, this book offers four new concepts for walking methodologies that are accountable to an ethics and politics of the more-than-human: Land and geos, affect, transmaterial and movement. The book carefully considers the more-than-human dimensions of walking methodologies by engaging with feminist new materialisms, posthumanisms, affect theory, trans and queer theory, Indigenous theories, and critical race and disability scholarship. These more-than-human theories rub frictionally against the history of walking scholarship and offer crucial insights into the potential of walking as a qualitative research methodology in a more-than-human world. Theoretically innovative the book is grounded in examples of walking research by WalkingLab, an international research network on walking (www.walkinglab.org). The book is rich in scope, engaging with a wide range of walking methods and forms including: long walks on hiking trails, geological walks, sensory walks, sonic art walks, processions, orienteering races, protest and activist walks, walking tours, dérives, peripatetic mapping, school-based walking projects, and propositional walks. 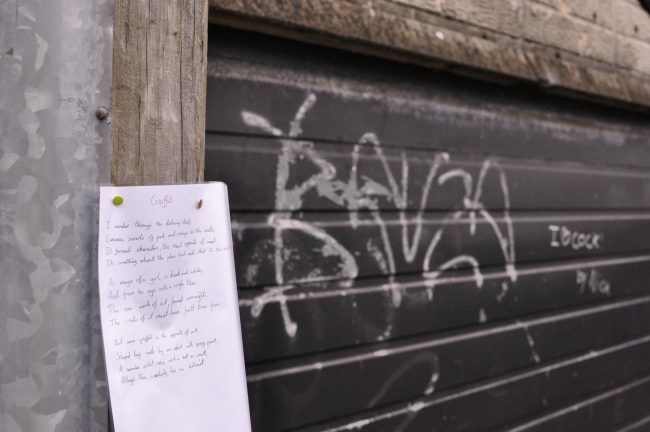 The chapters draw on WalkingLab’s research-creation events to examine walking in relation to settler colonialism, affective labour, transspecies, participation, racial geographies and counter-cartographies, youth literacy, environmental education, and collaborative writing. The book outlines how more-than-human theories can influence and shape walking methodologies and provokes a critical mode of walking-with that engenders solidarity, accountability, and response-ability. This volume will appeal to graduate students, artists, and academics and researchers who are interested in Education, Cultural Studies, Queer Studies, Affect Studies, Geography, Anthropology, and (Post)Qualitative Research Methods.